 Global Biochips Market is projected to be valued $22 Billion by 2024; with a CAGR of 15.4% from 2017 to 2024. During the last few decades, with continuous research and development, biochips have become one of the most promising technologies in many biomedical fields. Biochips are essentially small laboratories that perform hundreds or thousands of simultaneous biochemical reactions.These is highly used in applications such as disease diagnosis and prognosis of HIV, cancer, heart diseases, pH detection, oxygen detection, genetic decoders and many more. These are also used in screening of new drugs which could offer various benefits and reliably evaluate benefits & risk of pharmaceutical compounds and exhibit excellent analytical performance and are very cost-effective. Technological advancements, expanding generic drug market and rising demand for customized medicines are the key factors supporting the growth of the biochips market. In addition, increasing prevalence of cancer & HIV and increasing applications in drug discovery also support the growth of the market. However, high cost of instruments and lack of proper regulations may hinder the growth of the market. Furthermore, increasing applications of biochips for point-of-care diagnostics, screening platform for drug lead identification and cattle disease detection would provide growth opportunities in the coming years. The global biochips market is categorized on the basis of type, application and geography. By type, the market is segmented into DNA chips, microfluidic devices, and protein chips. Furthermore, by applications, it is segmented into proteomics, drug discovery & development, genomics, and In vitro diagnostics (IVD). The global biochips market by geography is segmented into North America, Europe, Asia-Pacific and Rest of the World (RoW). The U.S., Canada and Mexico are covered under North America wherein Europe covers U.K., Italy, France, Germany and others. Asia-Pacific covers China, India, Japan and others. RoW covers South America, Middle East and Africa. Key players in the market include Illumina Inc., Roche Diagnostics, Cepheid Inc., Agilent Technologies Inc., Affymetrix Inc., Sigma-Aldrich Corporation, Abbott Laboratories, GE Healthcare,Bio-Rad Laboratories andFluidigm Corporation, among others.